AC and DC motors and generators play a critical role in a broad range of businesses and industries. Whether it is a power company using AC generators to produce electricity or a manufacturer using DC motors for applications requiring variable speed and torque, downtime simply isn’t an option. 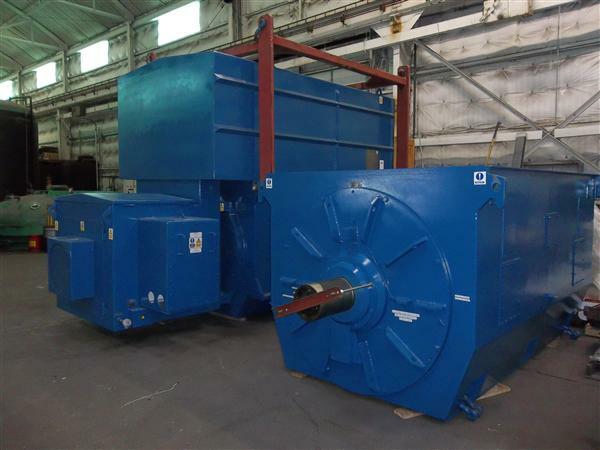 In addition to servicing motors and generators, we also refurbish units that have been damaged by flood, tornado, fire and other catastrophic events. We provide 24/7 on-site emergency outage support to minimize downtime, as well as predictive and preventive maintenance programs to reduce the possibility of unexpected outages. In our 60,000 square foot facility in Milwaukee, Wisconsin, our experienced service technicians remanufacture all types of commercial and industrial motors to original OEM specifications, and often better. All industrial motor repairs done by AIMS start with a disassembly of the unit, followed by an inspection and precise measurements to determine if there has been any damage to the motor. We strip out the old AC motor windings utilizing a temperature-controlled burnout oven to ensure there is no loss of efficiency due to lamination damage. Motors are completely rebuilt using high-quality wire, insulation and varnish. We fully test all repaired motors and generators to ensure they perform to OEM standards or better. Your refurbished equipment will give you many more years of reliable service. There are any number of industrial motor and generator service providers from which you can choose. Our goal at AIMS is to provide such superior service, quality workmanship and cost-effective pricing that you have no reason or desire to go anywhere else. This approach has fueled our dramatic growth over the years, and we look forward to proving our value to you. Although predictive and preventive maintenance programs go a long way toward preventing unplanned outages, sometimes it seems like fate just conspires against you. Lightning strikes, flooding, fire—these and other natural and man-made disasters can quickly throw a wrench into the best laid plans. When the worst happens, call the best first: American Industrial Motor Service. Our 24/7 emergency service crews will do whatever it takes to get you up and running again—as quickly and cost-effectively as possible. * Precision dynamically balancing to ISO Grade 0.4, up to 30,000 lbs. Contact our AC and DC motor and generator repair specialists for more information on our capabilities or to request a quote today. © Copyright AIMS 2019 All Rights Reserved.